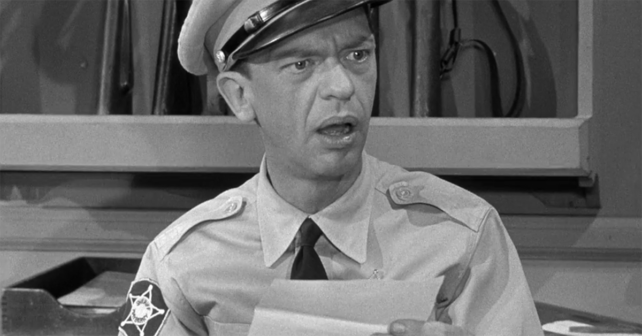 Mayberry was the perfect little, all-American town. Well, nearly perfect. 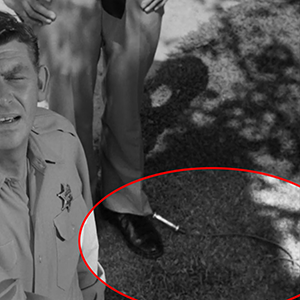 Like any television show operating on a fixed schedule and budget, The Andy Griffith Show let many minor goofs slip by onscreen. Back in the 1960s, especially in black and white, momentary mistakes like the shadow of a boom mic or an actor’s visible tape marks on the floor were tough to spot. 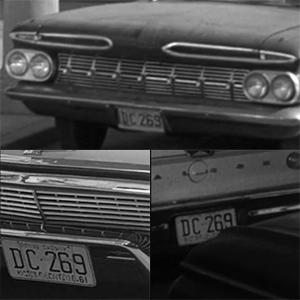 Now that the classic sitcom can be seen in crisp, beautiful digital images, these little errors are easier to spot. 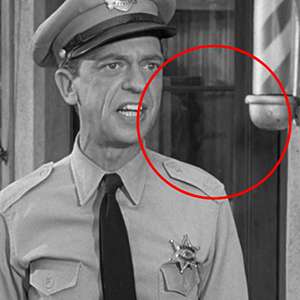 Throughout the series, reflections of the camera crew can be briefly glimpsed in Mayberry’s storefronts. Chalk and tape marks can often be caught. Those are all too many and mundane to list here, so we’ve focused on some more interesting and revealing details you may not have seen. 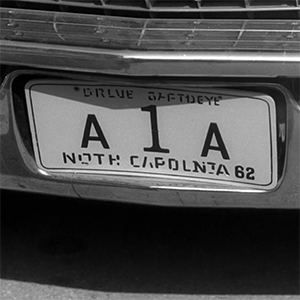 Keep your eye’s peeled for them as The Andy Griffith Show airs weeknights at 8:30p.m. on WBBZ-TV, Your Hometown MeTV Station. In a touching scene, Andy sits on Opie’s bed and explains to his son why he should no longer visit the jail. 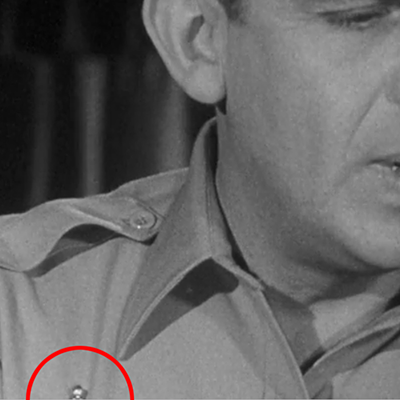 Andy (and Barney) always wear their badges above the left breast pocket of their uniforms. 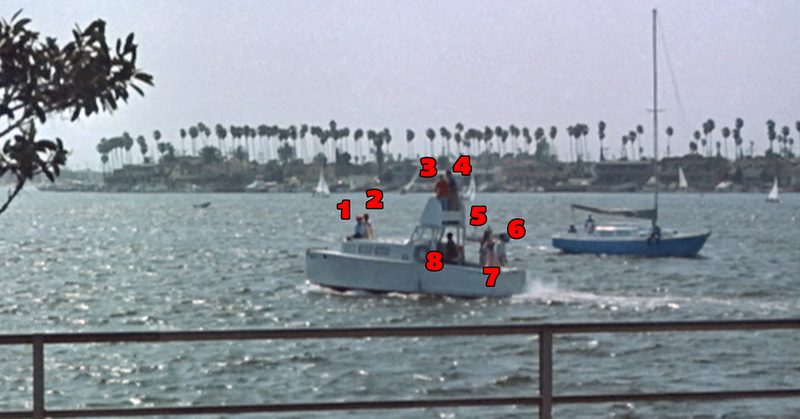 However, in this scene, the close-up shots of Andy have been flipped. His badge has jumped to the right side of his shirt. Outside the barber shop, Andy tells Barney that one of his ears is longer than the other. After the quip, he walks off camera, presumably down the street. However, as soon as he exits the frame, watch the glass of the shop window. In the reflection, you can see Griffith immediately stop and hunch over, presumably under the camera. He awkwardly stands there for the rest of the shot. Jess Morgan is up a tree, and the new mayor wants him down immediately. 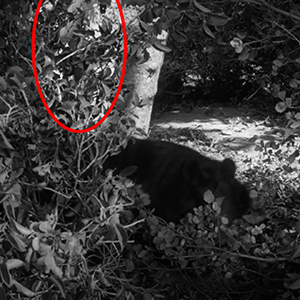 There’s a reason the fellow is high on a branch — a little black bear has chased him up there. The bear then goes after the mayor (played by Parley Baer). The animal handler can be clearly seen letting the bear loose from his leash. He does a rather poor job of “hiding” behind a tree. 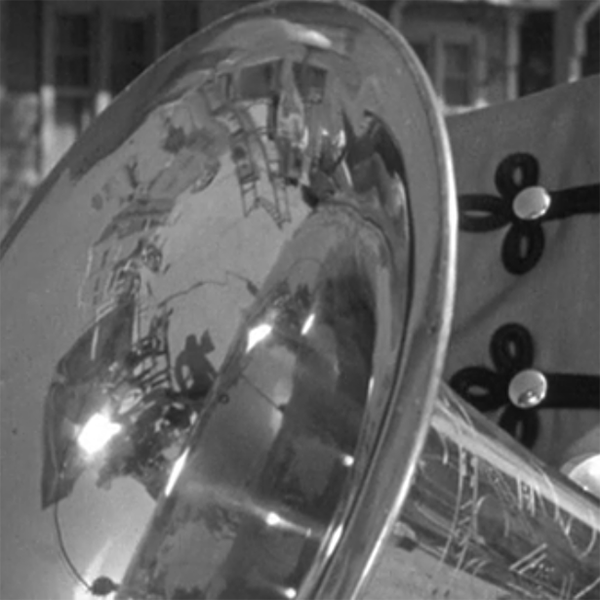 You can see the reflection of the film crew and equipment in Andy’s tuba. Though warped around the curve of the horn, it’s an interesting glimpse at the set, as you can see ladders and rigging. It’s just above Soth Capolnia. In an early scene, the Darlings’ jalopy has overheated, and Brisco refills the radiator with his hat. As Andy approaches the vehicle, you can see a microphone wire running up his left pant leg. Perhaps he’s running a sting on the Darlings? 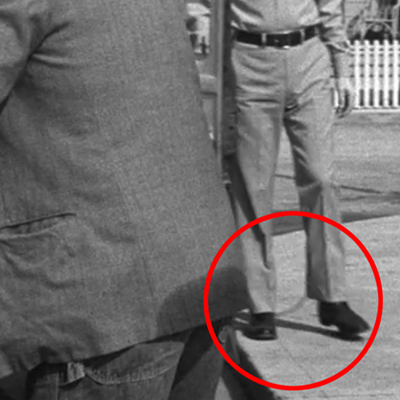 A handful of episodes later, another microphone cable can be spotted, running up Don Knotts’ pant leg. Look for it in an overhead shot, when Andy and Barney talk to Opie, who has climbed up a tree. Ernest is, as Barney notes, “a nut.” He’s not the only thing that has flipped out. As he skips down the street, the shot has clearly been reversed. 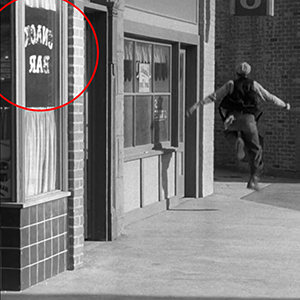 You can see by the words “SNACK BAR” in reverse on the window. We’re not sure you could get away with this one in the modern age. 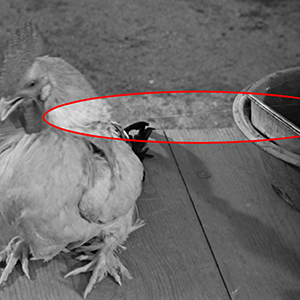 Towards the end of the episode, Bo the rooster has become inebriated. The bird drunkly swoons and teeters. To achieve the effect, a wire was tired around his neck and yanked. You can see the thin line tugging at Bo as his head rolls. Where’s Smokey when you need him? Finally, in this late episode, we have a fascinating factual error. 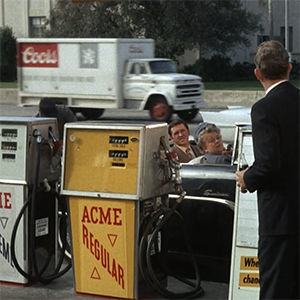 Andy, Bee, Opie and Goober are stopped at a gas station in Raleigh. A Coors truck zips by. However, the Rockie Mountain beer was not sold on the East Coast until the mid-1980s — as we all know from the plot of the 1977 classic Smokey and the Bandit. You may recall that Burt Reynolds had to smuggle the brew into Georgia.